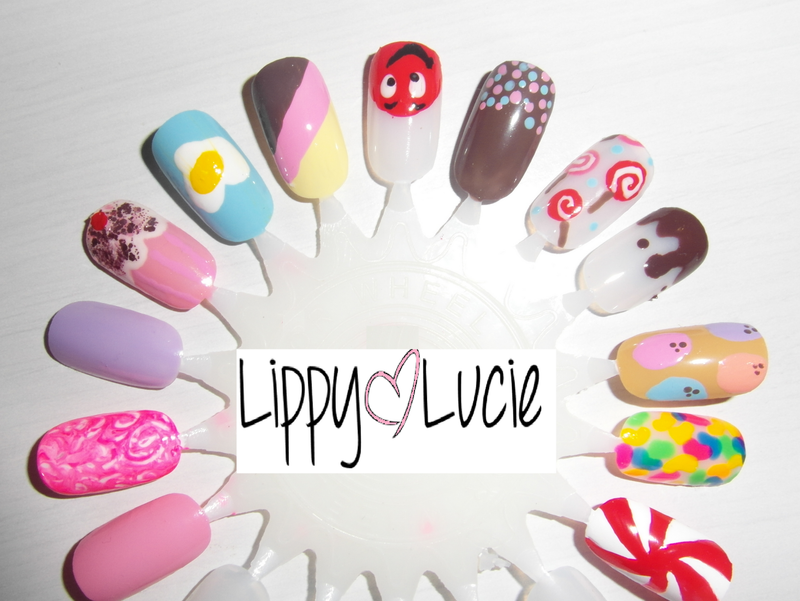 Sorry I have been a little pants on the blog posting at the moment as I am doing a nail tech course so its taking up a lot of my free time!! Something that I am also working on at the moment is some Nail Art wheels for when I start offering my services out to the public! I have been creating different wheels with different themes and this one is my fave so far! 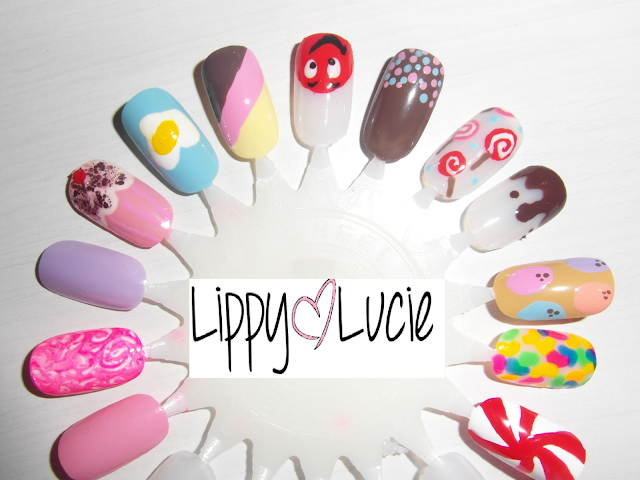 I've called this one "Sweet Treats"
My fave is the Jellybean nail! It was so easy to do I just found some jellybean colours and a dotting tool and layered them over each other.. I also love the Neapolitan nail as I think the colours look good enough to eat! Love this! The cupcake is fabulous!